Growing, maintaining, and styling a healthy head of hair can cost you. At Deseret Industries, we have ways to save on everything in your life. Whether you’re into upcycling or just like to use things as they are, here are some items from DI you can use on your hair. 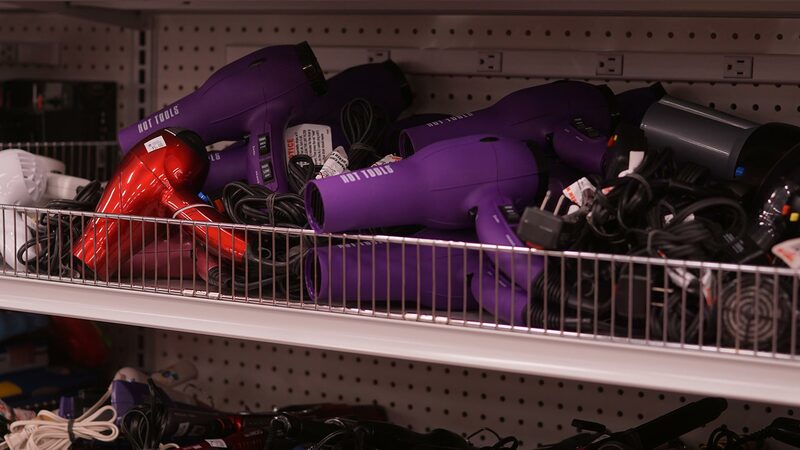 On our shelves, you can often find blow-dryers, straighteners, curling irons, and hot rollers to tame your locks. Find a beanie for winter or a cute baseball cap to style with a ponytail. 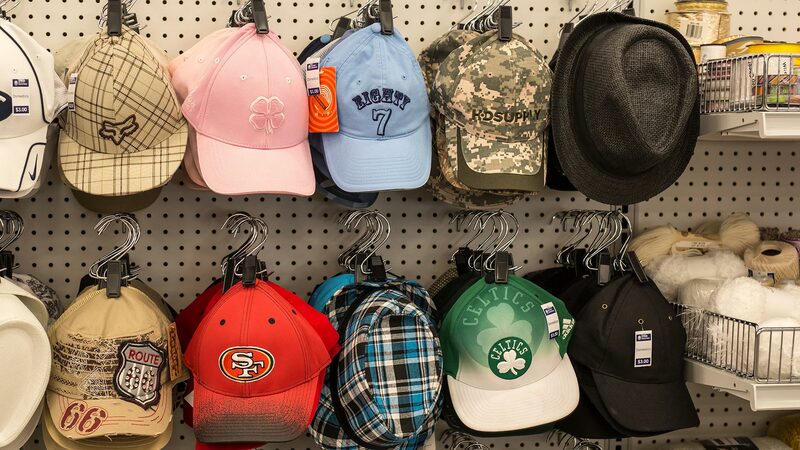 Hats are a great way to mix up your look—not to mention a great solution for a bad hair day! In addition to hair tools and hats, here are a few items you can upcycle and use for your mane. The best part about upcycling is that the items you create will be unique and customized to you! 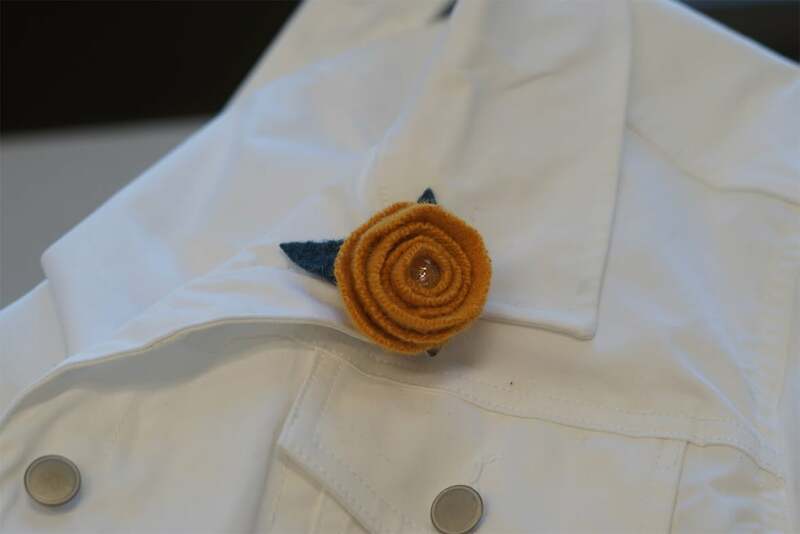 You can create all kinds of fun crafts with felted wool, including felted flowers to glue onto hair clips. Check out our tutorial here. If felting and making your own flowers out of wool isn’t your style, you can use other items from DI to dress up hair clips. You can almost always find silk flower arrangements on the shelves at Deseret Industries. 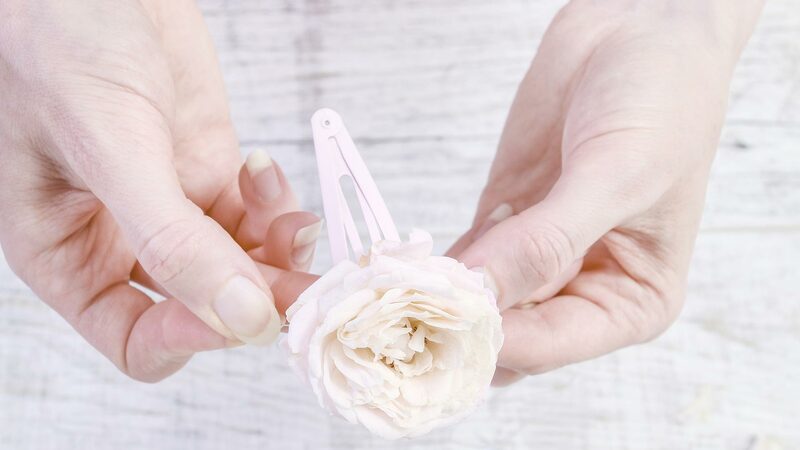 Cut apart floral picks, and hot-glue the blossoms to hair clips. And don’t stop there—you can also customize hair clips with cute buttons from clothing items, beads from jewelry, and more. Thrifting clothes and using the fabric to upcycle into other items is one of our favorite DIY secrets. Buy knit shirts or other clothing and make them into cute headbands. You can glue the fabric to plastic headbands or braid fabric strips and sew them to elastic bands. Are your bathroom counters scattered with hair bows, hair clips, and headbands? 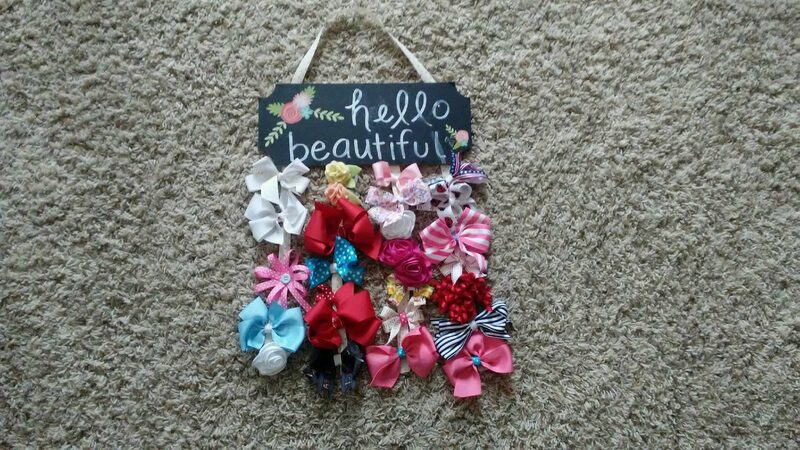 Make your own cute hair bow board. Buy a wooden board from DI, and style it up using chalkboard paint, acrylic paint, or whatever suits your fancy! Hang ribbons from the bottom, and attach your hair bows and clips! Have other thrift store hair hacks? Email us at blog@deseretindustries.org. Have you heard of the chalk paint craze? Thrifters and DIY pros all over are using chalk paint to upgrade their furniture and home décor items because it’s easy, requires little prep, and gives a rustic finish. Ready to reorganize? You can get bins, totes, buckets, and baskets to store your stuff at DI! Want to Help Deseret Industries Serve the Community? Deseret Industries exists to serve the community. Want to help? Here’s how! Get inspired on how to use family heirlooms to create meaning in your life.